After some probable dates of commencement of May 2019 CA exam and the time table has started doing the rounds in the social media, ICAI, the professional organisation which organises Chartered Accountant qualifying exams in India said they are yet to finalise a date for the exams. According to the Institute of Chartered Accountants of India or ICAI, CA May exam time table would be hosted on the website of the Institute (www.icai.org), as and when it is finalised. “It has been brought to our notice that the probable date of commencement of May 2019 CA examinations and the time table there on are doing the rounds in the social media. 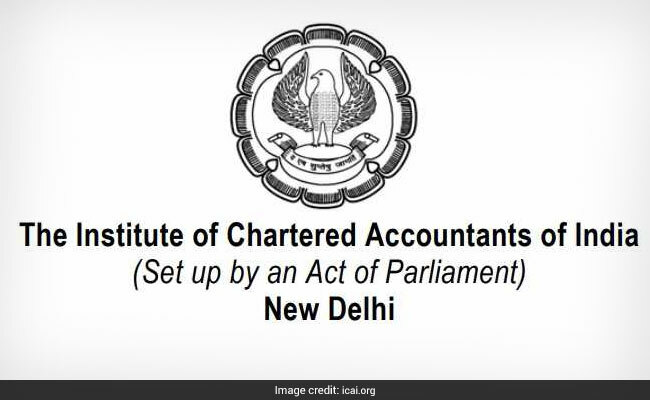 It is hereby clarified that the timetable in respect of the May 2019 CA examinations has not yet been finalized,” the ICAI said in a statement. “It is hereby clarified that the timetable in respect of the May 2019 CA examinations has not yet been finalized. It would be hosted on the website of the Institute www.icai.org, as and when it is finalized,” the statement said. The organisation also asked the students and other stakeholders to take note of the above clarification and not get misled by rumours which are floating in the social media. “Candidates are advised to stay in touch with the website of the Institute, www.icai.org,” ICAI said. Meanwhile, in another notification recently, the ICAI announced the dates for its professional exam results for the tests held in November and December last year. ICAI CA Final exam (old course & new course), Foundation exam and Common Proficiency Test (CPT) results will be declared on January 23, 2019.